Reclaiming Mikveh - Pouring ancient waters into a contemporary vessel. Pouring ancient waters into a contemporary vessel. piece by Anita Diamant and Janet Buchwald with original music. Each conference registrant will receive a complimentary ³Immersion Gift Certificate² for use at Boston¹s Mayyim Hayyim Living Waters Community Mikveh and Education Center. This groundbreaking conference is presented by the Outreach Training Institute, a program of the Union for Reform Judaism, supported by a grant from Combined Jewish Philanthropies of Greater Boston, in cooperation with our Boston and national partners. 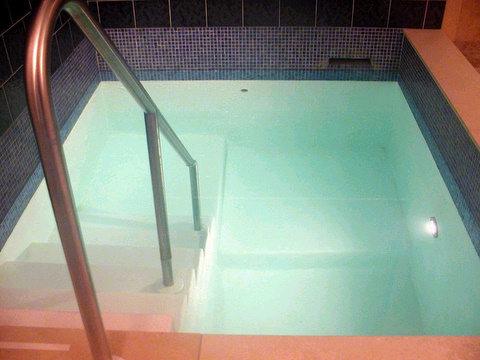 Over 30 national partners, including ALEPH: Alliance for Jewish Renewal as well as the Reform, Conservative and Reconstructionist movements have come together to challenge the Jewish community to reinvent mikveh for contemporary Jews. This historic gathering is the first conference of its kind. Rabbi Moshe Waldoks of Temple Beth Zion, Brookline, MA will be among the select keynote speakers, expert panelists and skilled workshop facilitators. © 2005. Permission is hereby granted to redistribute this issue of The Philadelphia Jewish Voice or (unless specified otherwise) any of the articles therein in their full original form provided these same rights are conveyed to the reader and subscription information to The Philadelphia Jewish Voice is provided. Subscribers should be directed to http://www.pjvoice.com/Subscribe.htm.